Almost one week after the V Conferência Brasileira de Tradutores do ProZ.com, phrases such “Disrupt yourself now!” and “Translators of the world, unite! We are stronger together.” seem to keep echoing in participants’ minds. Nineteen speakers, twenty different sessions, two powwows, Tweets, Facebook posts, feedback comments, pictures and videos made of this conference a great success, reminding translation professionals of the importance of constant networking and professional development. What did this event offer to ProZ.com members? Twenty sessions divided in two tracks. Two powwows, one at Restaurante Parraxaxá, specialized in Northeastern plates, and a second one at Entre Amigos Praia, a restaurant with the prefect atmosphere to be with fiends! Sightseeing around Recife, the Brazilian Venice. The chance to meet fellow translators, promote themselves among peers and learn how to get the most out of the translation profession. As a ProZ.com staff member, I enjoyed my visit to Recife and meeting some ProZ.com Brazilian members for the first time and seeing others again. It was a great experience! Thanks Ju Chaad and Nina Cavalcanti for working tirelessly over the past year to bring this great conference to life. Also, thanks speakers for sharing your time, energy and expertise. And, above all, thank you attendees for making this event possible! 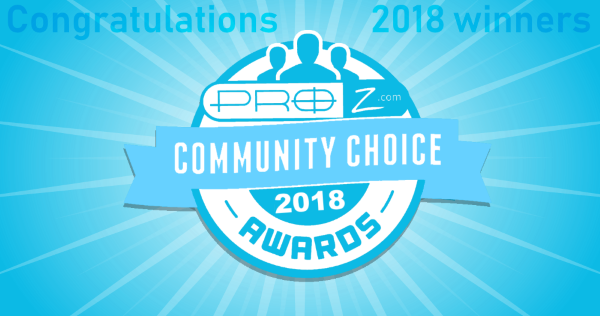 Hope to see you all soon at the next ProZ.com event! The seventh (and final!) 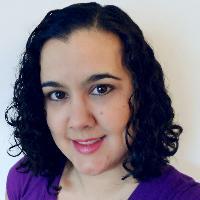 installment of the Brazil conference speaker interview series features the responses of Débora Pereira, who has worked as a Libras – or Brazilian Sign Language – interpreter for over 14 years. As part of her presentation at the upcoming conference in Recife, Débora will be speaking on some of the challenges and opportunities currently facing sign language interpreters. Her responses appear below, in Portuguese. DP: Para mim, a aquisição de segunda língua veio de forma espontânea, quando tinha 12 anos, estudava e tinha muito contato com pessoas surdas. Como 90% dos intérpretes há 12 anos, o apredizado de Libras se deu em área religiosa, logo após passei para área de tradução/interpretação do Pré-vestibular da UFPE, aos 17 anos e, desde então, venho atuando no ensino superior. DP: Os desafios são os seguintes: 1 – Uma melhor formação da prática de tradução/interpretação em diferentes áreas do mercado. 2 – A falta do léxico de sinalização em muitas áreas, precisando ainda serem formados, áreas como: Medicina, Engenharias etc. E mesmo assim muitos intérpretes aceitam, dependendo da formação (escolar ou superior) desconsiderando a formação base de uma criança, ou se a pessoa surda tem aquele conhecimento prévio para compreender de forma plena no ensino superior. DP: Seja voluntário em algumas atividades de tradução/interpretação para pessoas surdas, elas são seus principais clientes futuros e que poderão, por meio da divulgação boca-a-boca, te indicar. DP: 1 – Estudar nunca é demais: pesquise, seja curioso; 2- Conviva com surdos do ensino superior que tem o domínio profundo de Libras; 3 – Tire dúvidas com outros profissionais intérpretes mais experientes; 4 – Seja sincero: se não tem o domínio de uma respectiva área de atuação, indique alguém que seja; 5 – A honestidade, humildade e esforço sempre são bem vindos em qualquer área de atuação, então inclua tais aspectos na sua vida. MK: You will be giving a session at the upcoming conference in Recife, Brazil, called “Mercado para intérpretes de Libras e o Prodeaf, tecnologia a serviço da acessibilidade.” What can attendees to this session expect to learn? DP: Na minha palestra, abordarei pontos como: a) A demanda de intérpretes de LIBRAS não ser o suficiente para a real necessidade do mercado; O Perfil dos intérpretes de LIBRAS; A falta de formação específica de tais profissionais; Falhas das políticas públicas para professores que necessitam de conhecimento sobre a área da surdez e órgãos do ensino superior que não sabem lidar com esses novos profissionais; falta de valorização e atualmente baixos rendimentos. Além da minha palestra, teremos a participação de Flávio Almeida, Diretor da empresa Proativa. Sua empresa ficou conhecida ao desenvolver a ferramenta de tecnologia ProDeaf, que consiste em um avatar intérprete de Libras para multiplataformas, garantindo a acessibilidade utilizando a tecnologia. There are still two more days left to register to attend this exciting event. Please see the conference page – http://www.proz.com/conference/400 – for more information. 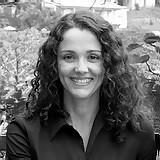 Today’s installment of the Brazil conference speaker interview series features Bianca Bold. Bianca has been working in the industry for over ten years, holds an MA in Translation Studies from York University, and has been working in the field of film subtitling since 2006. Bianca will be sharing her knowledge of the field of audiovisual translation during her presentation entitled “A globalização do audiovisual: uma projeção para muito além do cinema” at the upcoming event in Recife, Brazil. BB: I started teaching English at a very young age, but I knew it wasn’t what I wanted to do for life. One of the options I had at university was to major in English–Portuguese translation – so I said, “Why not?”, since I had already done a few translations and enjoyed it. This was back in 2000. Little by little I started getting more translation clients and teaching fewer classes. 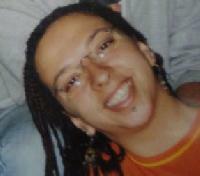 The full transition happened in about 2005, when I decided to dedicate my time exclusively to translations. I participated then in a very active forum of Brazilian translators and interpreters, and they taught me a great deal about the market, professionalism, networking, etiquette, you name it. I wouldn’t have made it this far if it weren’t for them. A bunch of participants are now a solid group of friends who interact regularly via Skype and Facebook. Constant networking with great professionals has opened a lot of doors for me. BB: I’m not sure this is the most important, but it’s a big one in my opinion: knowing how to establish oneself in the market as a well-paid professional. There’s no doubt that we have a multifaceted market, in which there are indeed many clients paying peanuts and relying on very low quality standards. On the other hand, there are thousands of end clients (and even agencies) willing to pay premium rates for top-notch translation services. I believe it’s a choice a professional has to make: which market are you going to tackle? Then go for it, market yourself accordingly, invest in your continuous development, network with the right crowd… the possibilities are endless. It’s certainly not as simple as it may sound; it’s challenging to maintain this course. But I think professional translators and interpreters should know that this premium market does exist and that they can raise their game and achieve better working conditions, instead of just complaining uselessly. BB: I’ve just mentioned two strategies that have worked like a charm for me: networking with the right people and focusing on continuous development as a professional. I can recall two milestones in my career. First, I became a much better professional and expanded my client base immensely by participating in online discussion lists, which to this day is part of my regular routine. Second, I became an ATA member and began attending their annual conference, as well as other professional events. The benefits of this are many: learning a lot, making incredible contacts, establishing new partnerships, working for great agencies, and much more. Freelancers in general need to get out there and make themselves known in the market. Appearing frequently in these environments with a positive, professional attitude, and interacting with great professionals, will make other influential people remember your name, your face, your specialties, and eventually hire you or refer you to someone in need. BB: Don’t be pushy. Note that I’ve mentioned we should keep a “positive, professional attitude” when networking. The way you interact with colleagues and the way people see you, both online and offline, will influence HOW WELL you’re remembered and HOW you’re remembered. No one wants to be remembered as the “clueless guy who distributes his résumé or business card to everybody and their dog,” or “the lazy girl who keeps posting silly translation questions on the forum, instead of researching herself.” There are many great posts about professional etiquette, and I strongly believe every newbie should take time to read and study the subject. MK: You will be giving a session at the upcoming conference in Recife, Brazil, called “A globalização do audiovisual: uma projeção para muito além do cinema.” What can attendees to this session expect to learn? BB: Although I’m the only speaker in this session, I prepared the material together with my business partner, Carolina Alfaro de Carvalho, a reference in audiovisual translation in Brazil. Our main purpose is to break down stigmas and stereotypes in the realm of audiovisual translation. Many think of audiovisual translation as limited to the entertainment industry (subtitling or dubbing for cinema, DVDs, TV, etc. ), and restricted to young, specialized translators who get paid very low rates and produce questionable quality, among other generalizations that do not always hold true. In fact, there is a strong demand for audiovisual translation in the corporate sector which is not usually seen by the general public. This sector is making extensive use of multimedia resources and requires specialized translators. We’ve put together several examples to illustrate our points and, hopefully, make attendees look at this translation submarket as something that can be very profitable and beneficial for translators who invest in learning about the intricacies of audiovisual translation. This is the fourth installment of the multi-part interview series featuring speakers of the upcoming conference in Recife, Brazil. 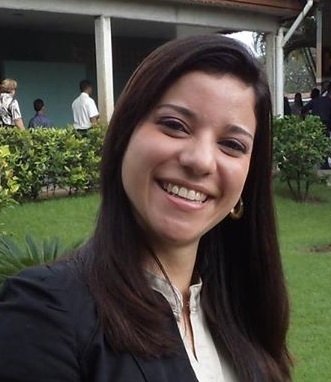 Stay tuned for the next post in this series which will highlight the responses of conference presenter and ProZ.com moderator Fernanda Rocha. Today’s installment of the Brazil conference speaker interview series highlights the responses of Branca Vianna, who has been working as a conference interpreter since 1990. Branca will be speaking on her professional experience and offer advice to aspiring – as well as current – conference interpreters as part of her presentation at the upcoming event in Recife. BV: I trained as an interpreter in college. It was one of the majors available to undergraduates who were studying Languages and Literature at PUC-Rio. When I started college I had no idea what interpretation was, but a friend was taking the course and suggested I give it a try, since I had lived in the US as a child, could speak fluent English and was disappointed with my choice in major, which had originally been Brazilian and Portuguese literature. I took her advice and never looked back. I never really had any other profession. My friend is also still working as an interpreter in Rio – we often work together. BV: I think the most important challenges are the highly competitive market and the need for constantly updating your skills, both professional skills and marketing skills. Social networks have made marketing yourself easier, but keeping up with all this marketing is also very time consuming, and can take away from the main event, which should be working on your languages and preparing for conferences. BV: My advice would be to use social networks as much as possible, to become digitally literate, but to not forget that none of that will matter if, once you land a job, you don’t know the terminology, don’t know how to behave at a conference, haven’t kept up your B and C languages (and even A language) and just bomb in the booth. Clients do not give second chances very often, and neither do chief interpreters. BV: To work hard in keeping up your skills once you are out of interpreting school. Learning never ends for interpreters. Continue to read and listen to your podcasts, just like your teachers taught you to, practice consecutive on your own, record yourself every once in a while, try to attend classes at your alma mater if work is scarce just so your interpreting doesn’t get rusty. In short, do everything you can to keep in shape. It’s slow going in the beginning, but keep at it and you will succeed. We’ve all been there and you are not alone. 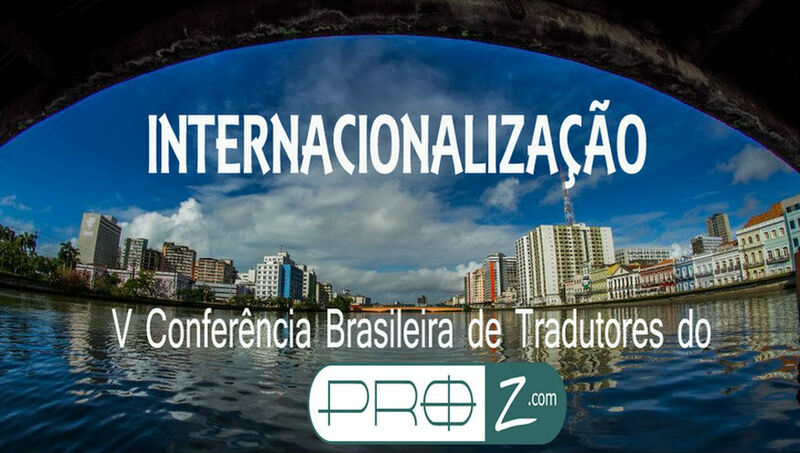 MK: You will be giving a session at the upcoming conference in Recife, Brazil, called “O profissional de interpretação no país da gambiarra.” What can attendees to this session expect to learn? BV: They can expect to learn about the difference between professionals and amateurs and why it matters in the world of interpreting. This is the third installment of the multi-part speaker interview series featuring the presenters of the Fifth ProZ.com conference in Brazil, which will be held on August 24th and 25th in Recife. The second installment of the Brazil conference speaker interview series features the responses of Barry Olsen – an assistant professor of translation and interpretation at the Monterey Institute’s (MIIS) Graduate School of Translation, Interpretation and Language Education. Barry has worked as a conference interpreter and translator since 1993. 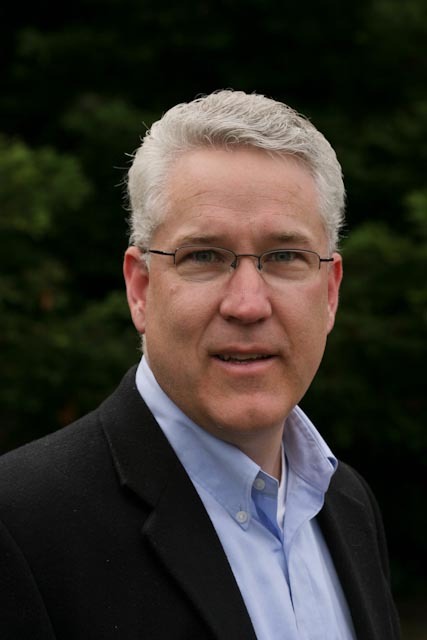 He is the founder and co-president of InterpretAmerica, and a member of the Training Committee of the International Association of Conference Interpreters (AIIC). Barry is one of the keynote speakers for the upcoming conference in Recife, Brazil, which will take place on August 24th and 25th. BO: I began interpreting at age 19 as a missionary. One day, when the bishop of a congregation found out I was fluent in Spanish, he took me to a booth, sat me down in front of a microphone and headphones and said: “Whatever you hear in English, say it in Spanish.” I fell into it totally by chance, but once I started interpreting, I was hooked. I still get excited every time I put on my headphones to interpret. There is just something about helping people communicate across languages that is tremendously gratifying. Translation and interpreting are quintessentially “human” endeavors. While translation technology will continue to evolve and improve, I believe there will always be a need for humans to translate and interpret. The key to making a living as a translator or interpreter will be to identify those areas where human translation will be essential and specialize in them. BO: Don’t be wedded to the long-standing models of translation and interpreting service delivery as you seek to expand your client base. Sure, you are not going to change the agreements and procedures you have with existing clients, but, put simply, you need to try new things. If there is a new platform for delivering translation or interpreting services, check it out. Experiment. See what works for you. Identify trends and work them to your advantage. Right now we are seeing an unprecedented number of translation and interpreting startups built by people who are not from our industry. They see the growing need for multilingual communication as well as the amazing opportunities that technology has created to allow people to communicate like never before. There will be new business and service delivery models. There is no way we can avoid that. But we can support those that are good for our industry. What we cannot do is dismiss them all wholesale and hope that things will just continue as they have. BO: Don’t be fooled into thinking that as a translator or interpreter you are only responsible for knowing your languages. Prosperous linguists will be able to add value above and beyond the foundational services of translation and interpreting. For example, learn basic project management skills. Be familiar with basic HTML and coding. Know how to work with multiple file formats. With the advent of the Internet and the trend toward digital everything, the concept of literacy is expanding beyond just language. MK: You will be giving a session at the upcoming conference in Recife, Brazil, called “Interpreting and Technology: Learning to Ride the Wave of Digital Disruption.” What can attendees to this session expect to learn? BO: The whole purpose of my presentation will be to give attendees a big-picture view of how digital technologies are radically changing how people communicate and subsequently, how translators and interpreters will work. Written translation has seen more digitally-driven change than interpreting, but both activities are going through rapid, and sometimes painful, change with the advent of digital communication technologies. My hope is that attendees will walk away with a good understanding of the changes taking place and be motivated to find ways to “ride the wave” of digital disruption.